This is what serious DXers and contesters are all about! By the way, don't try this at home! work will get a bang out of these photos. and 2 equipment operators on the ground. 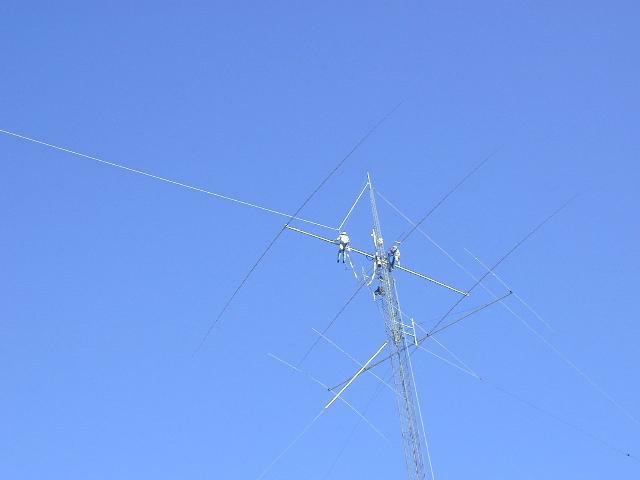 The antenna is a 3 element full sized 40 meter yagi. The boom is 40' long and the elements around 67' each. This antenna is up at 140'. Yes, that is I out on the boom. All this was very safe. "extra head room" for rigging purposes. attached to a hydraulic winch/hoist rated at 10K lbs. 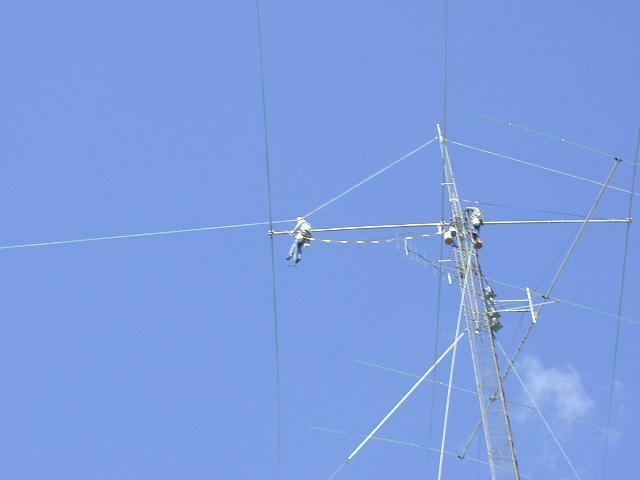 160' tower then down to the ground to a "rope capstan". wherever I wanted, out away from the tower. "life line" back to the tower in case anything failed. Which I was confident would not. to be done first and then removed later. to make this repair job a success. the station back in shape for contest season. Thanks for viewing these pages! 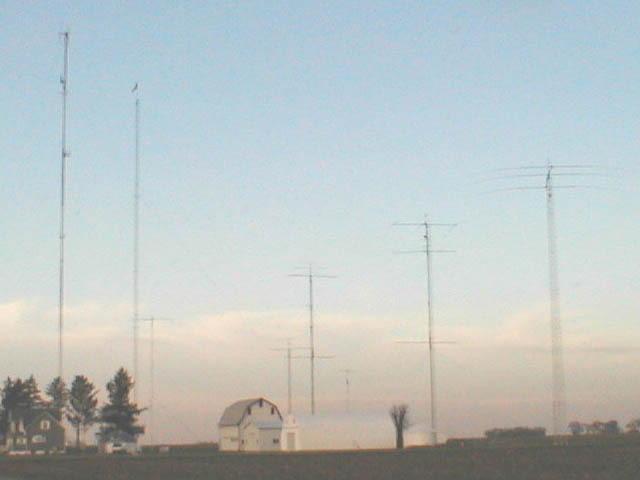 This is the entire WB9Z antenna farm at Crescent City, IL. is the second from the right. "WB9Z 40 Meter Yagi Page?"